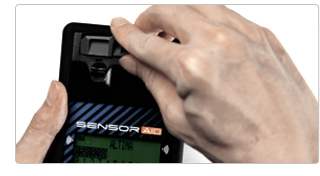 Sensor-AID is a diagnostic and programmable user friendly device for tire pressure monitoring system in professional car repair services, tire repair shops. With the help of a Sensor-AID, you may diagnose all tire pressure sensors in tires of various manufacturers and read the status. The greatest function of Sensor-AID is programming/cloning/creating the ID with the Uni-sensor. With the help of a USB cable you can easily upgrade Sensor-AID on line through your PC. Easy to update the synchronization tool software by PC & Internet. Full functions (diagnose, scan, ID clone, ID create) without expensive cost. English, Deutsch, Slovakia, Spanish and French languages support. Few steps in operation, ex, in diagnose mode, only 5 clicks to activate Sensor-AID to scan any type of sensors. Depending on the sensor data transmits. Tool will display sensor ID, pressure, battery state, temperature information. To cover 95% OE sensors.